NYC, 04/08/2019, 6:15PM. 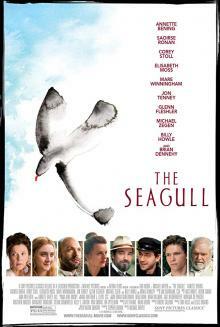 The Seagull (2018): Drama Based On Chekhov's Play. 98 min. Director: Michael Mayer. Starring Annette Bening, Corey Stoll, Glenn Fleshler. The Seagull based on the play of the same name by Anton Chekhov.